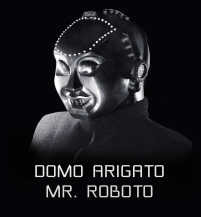 Do you remember the famous 80’s song Mr. Roboto? The video for the song was a classic on MTV (when MTV played music videos) and featured the lead singer battling and resisting becoming a robot. The premise of the song was that technology was taking over and de-humanizing people. That tune and message of the song hasn’t changed much over the past 30 years as technology has developed at the speed of light. Today, more than ever, it’s easy to let “technology” become the face and sometimes, the heart, of our business. Have you ever caught yourself in robot mode? Have you found yourself on autopilot when it comes to engaging with and serving your customers? It’s so easy to let the “tasks at hand” consume our thoughts and actions that we forget the most important thing we can and should be doing —providing a wow experience to our customers. Build an emotional connection by talking about the shared values and mission you have with your customers. Use social media, email and direct mail to tell your story and make the connection. Social media isn’t just another fad, it’s not fading away and if you haven’t embraced it yet there’s no better time than the present. Your most satisfied and loyal customers are following you on Facebook and Twitter so make sure the conversation is happening every day. Keep your social media channels loaded with fresh, relevant and fun content. Add pictures, videos and check-in rewards that keep your customers “looking” for “what’s next” from you. Give your customers a reason to like, follow, connect and share. Email marketing is still a workhorse that produces results. Don’t stop collecting email addresses and building your email list. And don’t just make your emails about promotions. Include testimonies from your customers about how your stores products and service has helped them. Telling the story of changes lives and wow experiences build a stronger and ongoing emotional connection with your customers. Direct mail is by no means dead. Connected customers respond to direct mail twice as much as customers who are just familiar and satisfied with a retailer. Don’t succumb to the temptation of putting things on autopilot. Resist Mr. Roboto and let your humanness rise by establishing and maintaining emotional connections with your customer. Seth Godin had a great post the other day about struggling to be heard – see it here. His bottom line was that we can either make noise or make a difference. Just because someone can grab the attention of others by their volume doesn’t mean what they have to say will make a difference. After the noise disappears and the dust settles what’s left behind from our message is what people follow and believe in. There are other times that not saying anything, that our silence, can speak louder than any words we could have shouted. That’s where, as communicator’s, we must know our audience and what will connect with them in the most relevant way – both in delivery and content. When our product or service provides value and makes a difference (or doesn’t) in someone’s life that person will be the one who turns up the volume and becomes the loudest spokesperson for the company. Value is where it’s at.